Welcome to the official web site of International Metal Products. 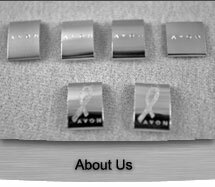 We specialize in the precision stamping of high volume metal products. We also do heat treating with our austempering furnaces, and a wide variety of specialty finishes and plating. With over 100 years in the specialty metal finishing business, International Metal Products can consult with your personnel and create the perfect match for your manufacturing process needs. We offer custom tooling and can use our design expertise to consistently bring innovation to any job.